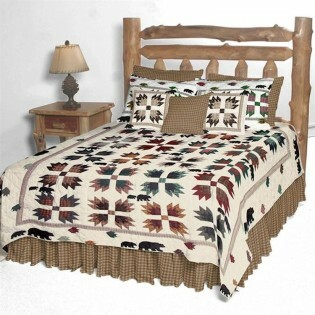 The Bear Paws Quilt Sets feature black bears walking along a border of a white. The colors of nature are predominating in the dark green, burgundy and warm brown tones. 100% cotton and handmade.